Wedding planning at its best thanks to our experienced & dedicated staff. A boutique hotel in Bloomington, IL we also provide a complimentary bridal suite. Reception Facilities for up to 250 guests. From big events to small intimate affairs we have the perfect space for your nuptials, rehearsal dinner, & gift opening brunch. Let's talk about how we can tailor these happy events to your exact taste. Consider us your wedding headquarters. With us you're not just reserving a space for your upcoming wedding. You're getting a whole team! 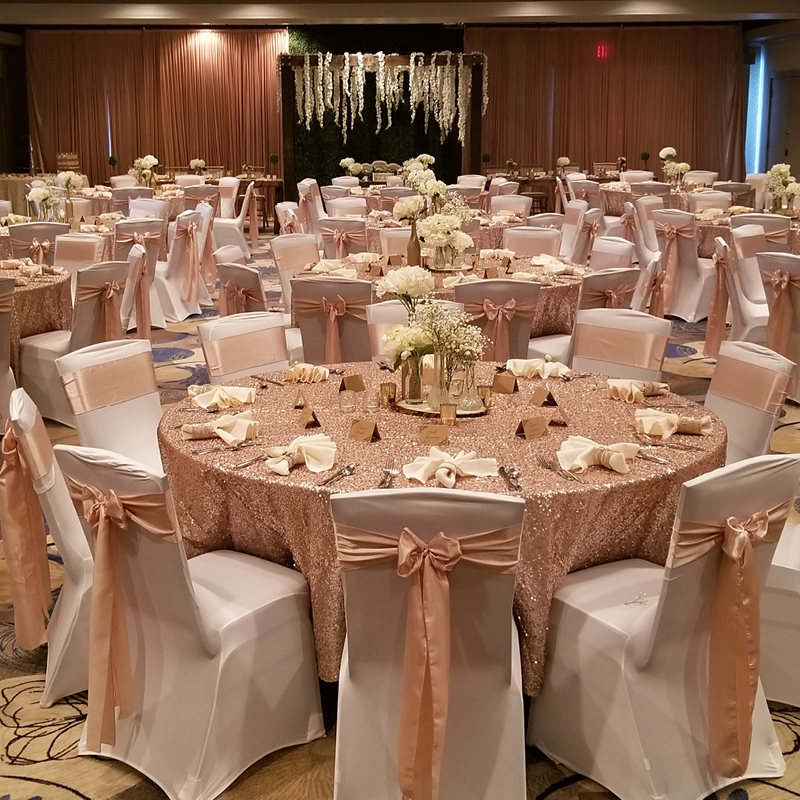 Complimentary with your event package, our experienced planner will be working closely with you to make your big day uniquely yours. Our experienced wedding team has made the big day perfect for hundreds of couples. And they'll bring that to yours as well. This is a complimentary service included with your event package. Have your heart set on an outdoor ceremony? Our courtyard makes the perfect backdrop. With seating for up to 140 guests there's plenty of room to customize this beautiful space to fit in seamlessly. Bad weather won't have a role in your big day. If it shows up we will put our back-up plan swiftly into motion. Your guests won't even know it was plan B! It's your day! We want it to be uniquely yours. Our wedding team, from initial contact through your reception, will help you plan the mood you're looking for whether it's a dramatic ambiance or maybe something a bit more casual. We are ready to help deliver your big day (and night) exactly as you have imagined. Sit back and relax with your family and friends while we handle all the heavy (and not so heavy) lifting. From start to finish. Our award-winning chef can create a tailored, seasonal menu or cook an entire dinner based on your requests. From multi-course plated dinners to a buffet, we offer a range of dining options. Wondering where to begin? We have several catering packages including pre-ceremony appetizers and an end of evening dessert buffet. Couple this with a well-stocked bar and you have all the makings of a memorable event. All you have to do is let us know what you desire. After the last toast has been given, the cake has been eaten, and the dancing is done, retire to your 900 sq foot complimentary suite. Complete with a full kitchen, rainfall shower, and a jet tub we won't blame you if you want to send for your things and move in. Be our guest and kick off your shoes and relax while sipping on your own bottle of bubbly for the perfect end to your perfect day. No need to worry about logistics on your big day. We have a variety of rooms you and your guests can choose from. Need to get your guests from point A to point B? Perfect! We have a shuttle bus and a limo and are happy to offer you preferred pricing when booking your wedding events with us. Having your event somewhere else but need a place to stay? We can help with that, too!